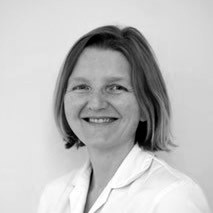 Carragh graduated from the British School of Osteopathy (now called University College of Osteopathy) in 1999 and founded Kingston & Teddington Osteopathy in 2000. The practice grew and in 2007 moved to the current premises, based in the heart of Teddington. Carragh picks her team for their skill, professionalism, specialist areas of expertise and above all, for their patient-centred Osteopathic approach. Carragh has based the practice ethos on making Osteopathy easily available to the whole family – from Babies and Children receiving Cranial Osteopathy to Adults and Grandparents having bespoke Osteopathic care for their individual needs. Experience, post-graduate training and a holistic Osteopathic approach are all centred towards enabling patients to achieve active health in their lives. 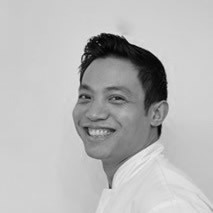 Mark has over 10 years experience as an Osteopath having qualified from the prestigious British School of Osteopathy in 2006. Specializing in musculoskeletal conditions and rehabilitation he is proficient in diagnosing and treating a wide range of physical conditions, from acute to chronic. His understanding of the underlying causes of the condition (including bad posture, dietary or life-style habits), focusses his osteopathic treatment with the aim being not only at pain relief, but also in the prevention of acute conditions and the gradual recovery or stabilization of more chronic disease. Mark believes in Osteopathy being a tool for working to restore your body to a state of balance without using drugs or surgery. Mark has worked with a wide variety of patients from Olympic athletes to the Weekend Warrior and yet is able to use his skill set just as effectively with the elderly and children. He treats everyone individually with bespoke Osteopathic care. 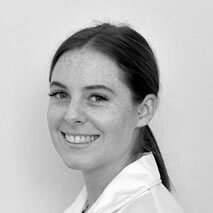 Katie trained at the British School of Osteopathy and has post graduate qualifications in Paediatric Osteopathy, DMA Clinical Pilates, Kinesio Taping, Ultrasound and Dry Needling. Her interests lie in treating babies, children and mothers-to-be. She is a local mum and knows first-hand the effectiveness of gentle Cranial Osteopathic treatment on both her daughter and herself during pregnancy and post-partum. She remembers her relief at seeing her unsettled baby have Cranial Osteopathy and is a firm advocate that Osteopathy can treat all members of the family at every stage of life. Prior to motherhood, Katie was an elite rower, which was where she first experienced Osteopathy to recover from a serious back injury. Now retired from rowing, she is always training for a marathon or triathlon and is a regular at Park Run. As she says, “We are so fortunate to live amongst the Royal Parks and close by the river. What better place to de-stress from hectic London life!?”. Katie is passionate about injury prevention through strength and conditioning and so can work with you tailoring treatment plans beyond just initial injury recovery. Leah graduated with a Masters in Osteopathy from the International College of Osteopathic Medicine in 2017. She has a solid structural approach to Osteopathy with her additional skills of Level 2 Kinesio-taping and Medical Acupuncture. Leah believes that with many injuries, the area of pain may not be the cause, but the effect of dysfunction elsewhere in the body. She enjoys the challenge of working out the underlying cause of musculoskeletal pain, be it acute or chronic in nature. 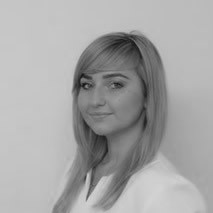 Leah has a passionate approach to Osteopathy, believing that it has a strong foundation in helping patients enhance their lifestyle in order to maintain active health. She is embarking on the Cranial Osteopathy pathway and plans to develop her paediatric Osteopathy skills. Rosie graduated with a Masters in Osteopathy from the International College of Osteopathic Medicine in 2018. She has a strong foundation in structural osteopathy with additional Sports Strapping/Taping, Sports Massage and dry Acupuncture Needling. 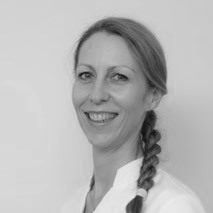 She believes in Osteopathy as an aid to lifestyle choices for a holistic approach to health. She treats injury and pain with a multi-faceted approach, focussing on the person as an individual. She plans to evolve her Osteopathic treatment with paediatric and adult Cranial Osteopathy.